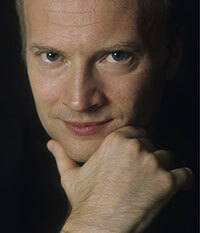 It was a rare performance by the Toronto Symphony tonight, inspired by guest conductor Gianandrea Noseda and the presence of soprano Adrianne Pieczonka. I can’t recall the last time they played with so much commitment, going back over decades of listening, a concert with several highlights whether you’re a fan of vocal music or pure symphonic repertoire. Noseda & Pieczonka gave us a very subtle reading of Richard Strauss’s Four Last Songs, after the TSO gave us Casella’s Italia. The contrast was quite marked, between the musical vernacular on display in the Casella and the more rarefied language of the songs. Noseda extracted a wonderfully unpretentious & boisterous opening that made the Strauss sound like chamber music in comparison. Noseda’s tempi on the night were wonderfully energetic. In the songs I’d say we were going faster in all four than, for example, the George Szell recording with Schwarzkopf. Frühling was a reading of subtle mystery—or so it seemed after Italia—with a marked delicacy to Pieczonka’s sound. Even ascending to her high B she was floating her sound against a shimmering orchestral backdrop, her sound easily heard but wonderfully restrained. For September the voice emerged from the orchestra like a jewel against velvet. A fuller sound opened Beim Schlafengehen, leading us to Jonathan Crow’s magisterial solo, ascending like the soul itself, followed confidently by the soprano’s voice. She did not push out the last notes as some do – “zu leben”—but thoughtfully intoned them, seeming to be moved (I am sure I saw her dab her eye at this point, at which point i lost it). And Im Abendrot brought us home with further restraint. To this point I was a bit confused about Noseda, having heard his raucous approach to the opening piece followed by the most subtly conducted Strauss Four Last songs I’ve ever encountered. After intermission it was time for something completely different. I saw we were to get the “Prelude and Liebestod”: ostensibly from Tristan und Isolde, but actually two pieces usually done as a single piece. We began with Noseda leading the orchestra and no soprano on stage. Hm I wondered how that was going to work, but forgot the question in the outpouring of sound from the TSO. As you may have noticed before, I far prefer quick readings of Wagner which I understand to be more authentic than the lugubrious readings some have attempted, that were for a time fashionable in the 20th century. Give me Luisi instead of Levine, Bohm rather than Karajan. For me the Tristan prelude was the musical highlight of the evening. 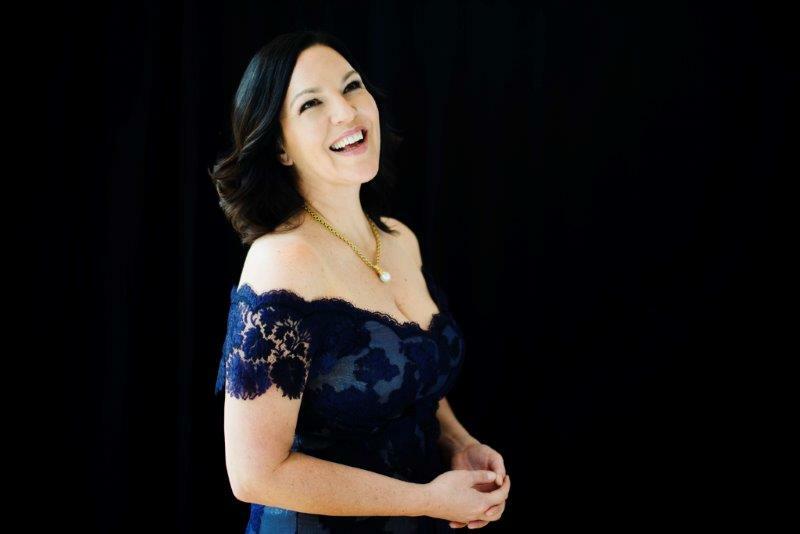 And then as we came to the last page of the score, Isolde –that is, Pieczonka—wandered onto the stage looking mildly despondent, but finding a more joyful expression as she unexpectedly began to sing with no introduction, just the abrupt modulation from the prelude (an impressive feat in and of itself). Pieczonka sang with the confidence of a true hochdramatiche, showing no signs of distress whatsoever. While we shouldn’t mistake this + the 4 songs for a full Isolde, and an indication that she’d find it easy, I do believe Pieczonka could undertake the role. The orchestra on the Roy Thomson Hall stage is not the same as an orchestra in a pit, which would be more subdued in its sound, especially if the conductor for that occasion were mindful of his Isolde. This time? Noseda did not overwhelm his singer, but did draw a big full sound from the TSO. Does Pieczonka need to undertake this role? Good question. The sound she makes is magnificent in so many roles in several languages; she doesn’t need to attempt Everest, welcome as it might be to hear her assay such roles. Noseda followed with a crisp & energetic reading of Beethoven’s Seventh Symphony, drawing exquisite playing from the TSO. At times we were in a place of wild abandon, and so I didn’t mind a couple of fluffs, considering the emotional commitment, the rhythmic vitality of the playing, and the sharply delineated features Noseda was able to etch into the sound. It’s a great reminder to me of what this orchestra can do, after having heard Beethoven from Tafelmusik and Wagner from the COC’s orchestra. It’s the best TSO performance I’ve heard in awhile. The program will be repeated Saturday March 14th at 8:00 p.m. Most of the other commentators feel the orchestra overwhelmed the singer in these performances (none of which I’m sad to say I could attend) – you don’t seem to have noticed this at all. Could it be where you were sitting, or simply that it didn’t bother you? Hi Gianmarco. Please note, i was attending a different night so perhaps i had a different experience. But I know what i heard. I know Adrianne’s voice very well, almost obsessively so, and i know these pieces inside out. Commentators accustomed to hearing recordings would of course take exception, but this is the piece Strauss wrote, and i believe very much the way he’d want to hear it sung. And Adrianne was not drowned out, she was singing very gently in almost all of the Strauss. It couldn’t have been easy to float that high B, which others might simply pop (let alone those who sing it flat!). And the dynamics in the Beethoven & Italia (the opening piece) were completely different. Did Noseda perhaps change in response to the critics? i wonder, given that (as far as i know) artists usually ignore such things. I think it’s more likely that the loudness of Italia –wonderfully raucous in my mind– may have put some people off. But i loved the contrast, the italian followed by 3 germanic pieces, especially the dissonant snatches of funiculi funicula in the latter part of the piece. It could also be connected to where i was sitting –a really exquisite location NB– but even so, there’s a world of difference between Pieczonka + the COC orchestra at the Four Seasons Centre (where she sounds like Birgit Nilsson, effortlessly knifing through the orchestra) and Roy Thomson Hall, where this kind of matchup is in some sense ideal. I didn’t have a choice about the night –as i teach on Wednesdays– but it looks as though i was very lucky to be there last night. If you can reveal your sweet spot location in RTH I’d love to know given how many times I’ve been disappointed by the acoustic in that hall! I know the VLL very well too – probably the work I have the most different recordings of in my collection. And I agree with your point that Strauss probably conceived of these pieces more with the voice inhabiting the orchestra; being part of it than sticking out and riding over it. A newer recording I really love is with Anne Schwanewilms and the Vienna Radio Orchestra under Cornelius Meister – it’s very special! I am not a fan of RTH, but wow this was the best ever spot (thank you TSO! ): in the front row of the mezzanine centre with Pieczonka’s wonderful expressive performance right in front of me. When I’ve sat further up, i’ve been happy with the large orchestra pieces –Shostakovich or Mahler(ie works that are larger than life and may even benefit from the large hall) — and not quite so satisfied with Mozart or Beethoven (ie works conceived for smaller gentler forces in smaller spaces). I feel very strongly that the works that ONLY the TSO can do –Berlioz, R Strauss, Mahler, Shostakovich– are a key part of their mandate, even though audiences flock to hear Handel, Mozart & Beethoven, often done in a manner that’s simply not up to what you can get from Tafelmusik. I’m looking forward to hearing the Mahler 5 next month(omigod yes!!! ), and won’t mind if there’s some reverb or a lack of clarity. It’s interesting comparing these performances with recent TSO performances with Barbara Hannigan, whom i also heard super-close at the RBA concert a couple of weeks ago. Noseda led a very different kind of performance especially in the Beethoven (i joked with my companion that it was fitting for Noseda to be wearing a stylish black outfit suitable for Dracula, considering that they took it all at a bat-out-of-hell pace), very strongly accented, and with every detail coming across. So when we get to the Strauss songs, yes it’s wonderful the way you put it, and that’s how i heard it, namely “the voice inhabiting the orchestra”. Each of the four was a bit different, the radiant warmth of September a beautiful blend of colours all coming across (particularly all those lovely solo wind moments) with Adrianne’s voice. Fruhling started super mysterious, Adrianne rarely seeming to go beyond a mezzo-piano in the piece, a remarkably musical reading but also very poetic, very subtle. The voice in Beim schlafengehen was very clearly marked at the beginning (but then again the strings are low), very clearly articulated. Everything seemed bigger for Im Abendrot, and without restraint, but also, not pushed or forced. I’m getting a bit verklempt just recalling Adrianne’s presentation of “ist dies etwa der tod..?” How can that line be big and powerful, when it’s, among other things, like a last line before death, a tentative question not a declaration…? I heard it very clearly. Noseda is some piece of work, magnificent and different in each song, different in each piece. As I said above, his Tristan prelude was stunning, getting fabulous work from that orchestra, who at times sounded like one big panting animal. Wow. See /hear it if at all possible. Beautiful description – almost gives me the sensation of being there! Unfortunately I couldn’t attend any of the dates for this concert – very sad about that. Thanks for the seating tip! Noseda is great – his William Tell in December was one of the best things Toronto has heard this season.